The Bushtits came to visit me today. It has been three days of edging over that 80-degree mark and I am in heaven. SUNSHINE and I can actually go around without having to wear a sweater. Hear me sigh in contentment? I didn’t think the day could get much better but when I set the sprinkler out this evening, it did. I no sooner set the sprinkler than I heard a familiar “pip! pip! 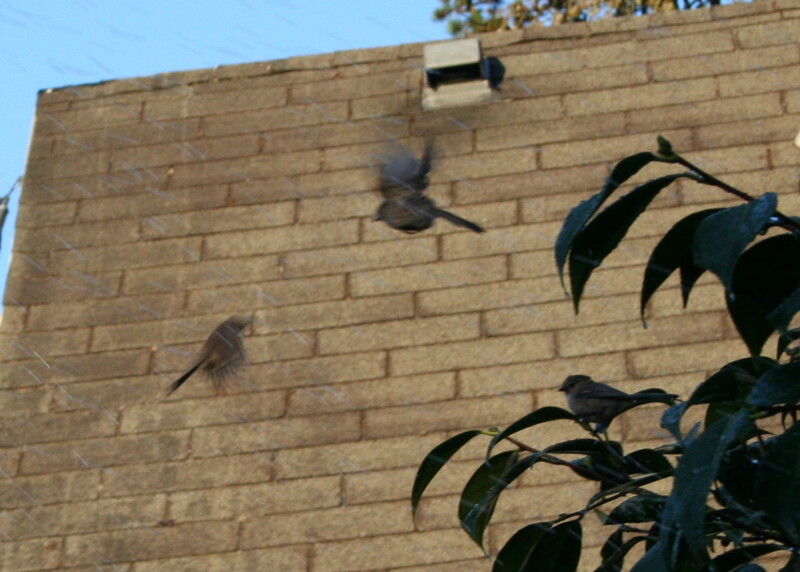 pip!’ as a flock of Bushtits hurried in to take advantage of the sprinkler. I grabbed my camera and attempted to get some close-ups of these tiny, nervous, “drab” little birds as they flitted around in the camellia and the Hawthorne catching bugs and drops of water. I shot 30 photos. I miss my old 35mm when I am faced with something like this. I could “push” the f-stop and I usually had 400ASA film in my camera just for shots like the Bushtits in motion. My current cheap Canon Rebel XT DSLR doesn’t afford me the option (or it is broken, like the “manual” setting on the lens is). Still… the Canon served me well tonight. Out of 30 shots, I got 4 that I am happy with. Where’s the bird? There are three of them in the photo. 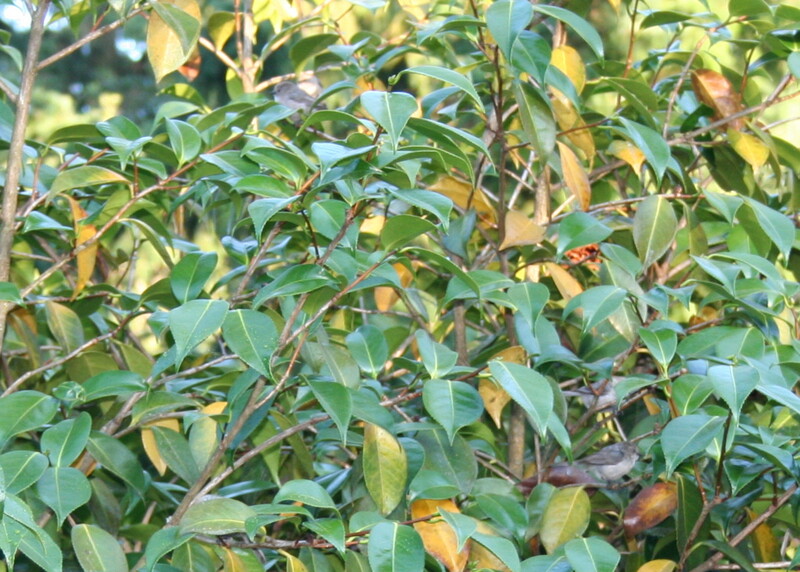 You’ll have to click on the photo to view it full size, but I promise you there are three little Bushtits in there. 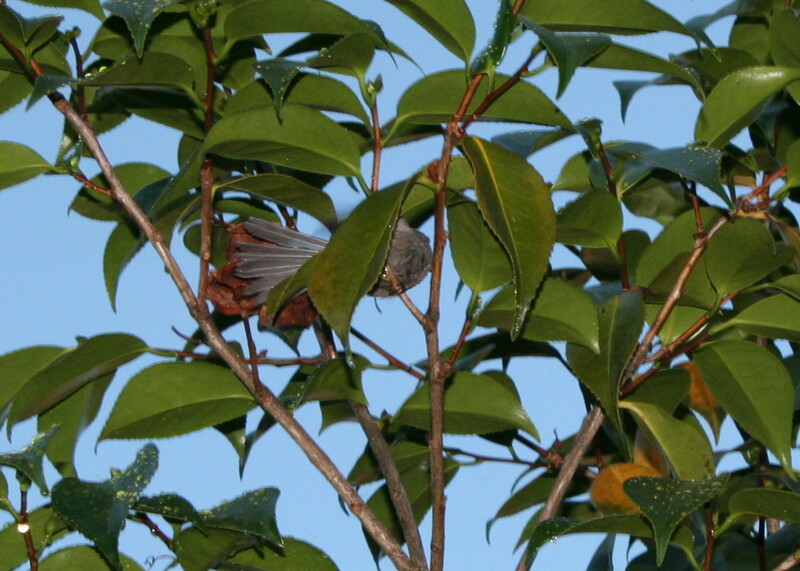 A Bushtit spreads his feathers. She has a miller (moth) in her beak. 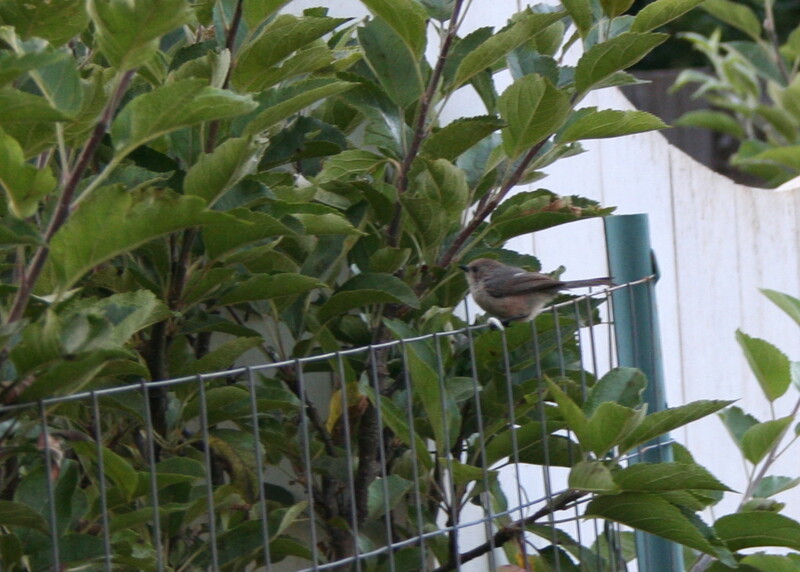 I like this photo precisely because I do not think of Bushtits as “drab” little birds. They’re beautiful little creatures that are no larger than a hummingbird and they tend to fly in large family groups, but I simply would not refer to them as “drab” or “plain”. Charming little grey birds. This is the photo I like the best. Two Bushtits playing in the sprinkler while one sits on the branch and enjoys the water. Click on the photo to view it full size: you can see the water from the sprinkler in the air. I did not know I had that photo until I downloaded all 30. 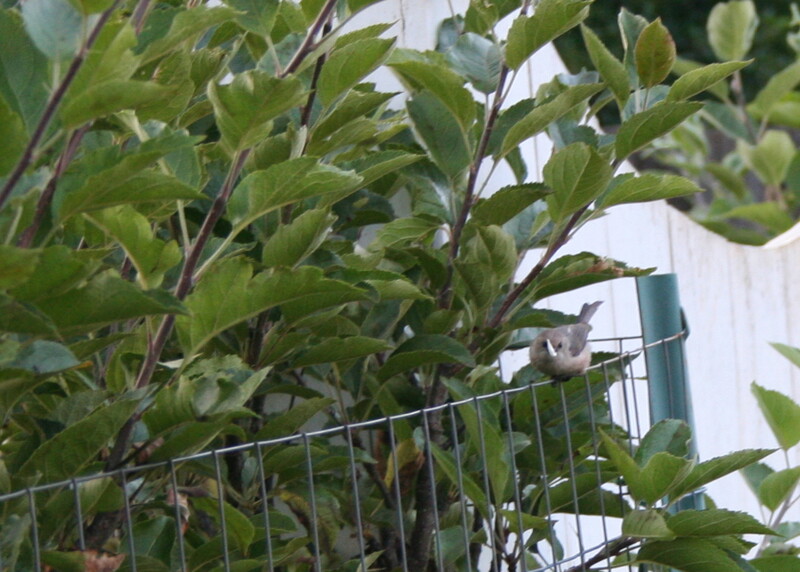 I knew I had some of Bushtits in mid-air but I was certain they were out-of-focus and far too blurry to use. But there was this. That makes for a pretty “perfect” summer day! We love these little guys! We often get a “family” of them in our apple tree. Well, out neighbor’s apple tree that has more branches in our yard than theirs. LOL I love their little sounds. And they are just so adorable. How could anyone think of them as plain or drab?